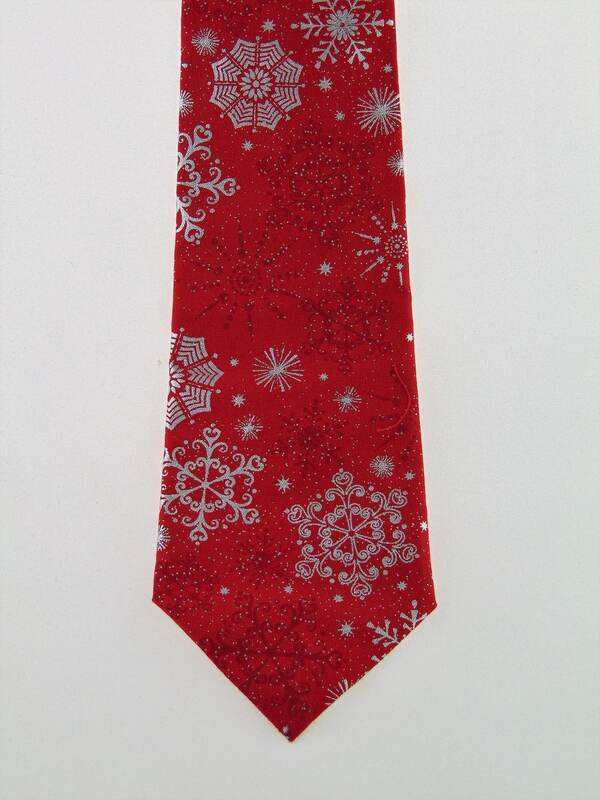 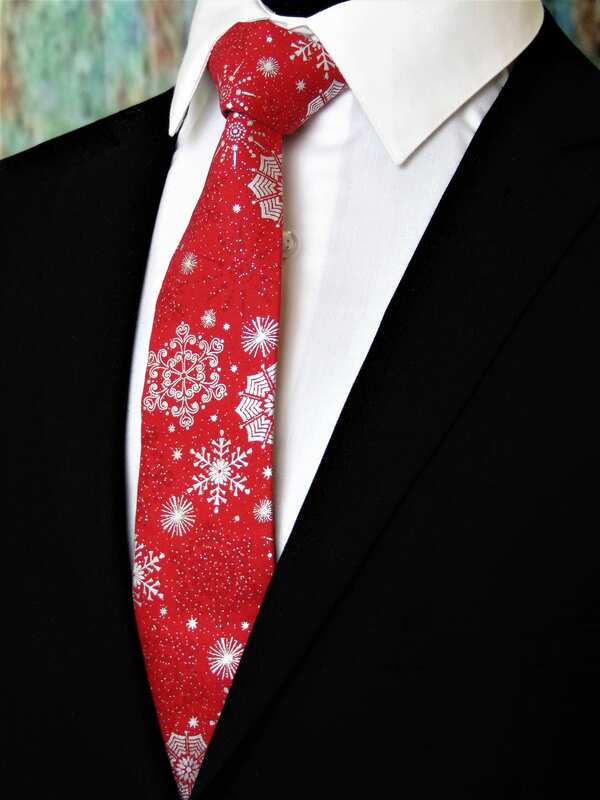 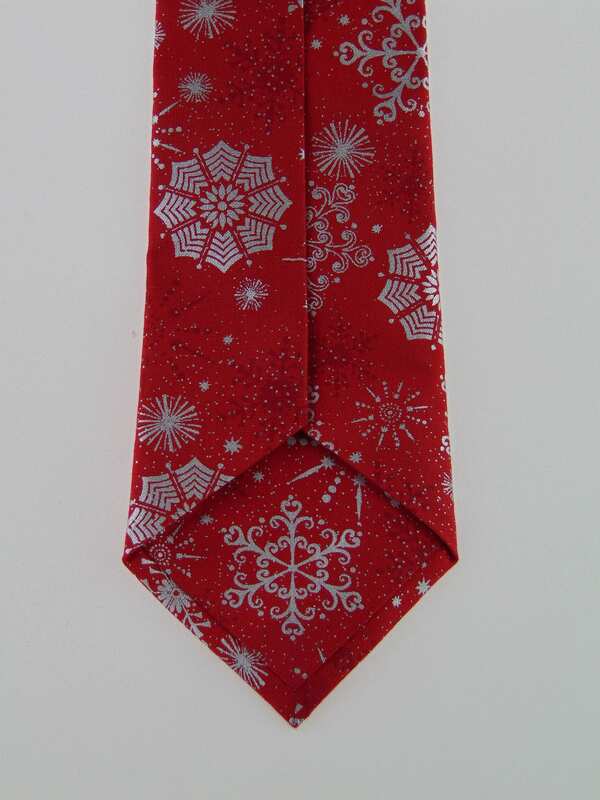 Red Christmas Tie – Mens Red and Silver Snowflake Necktie, Also available as a Skinny Tie. 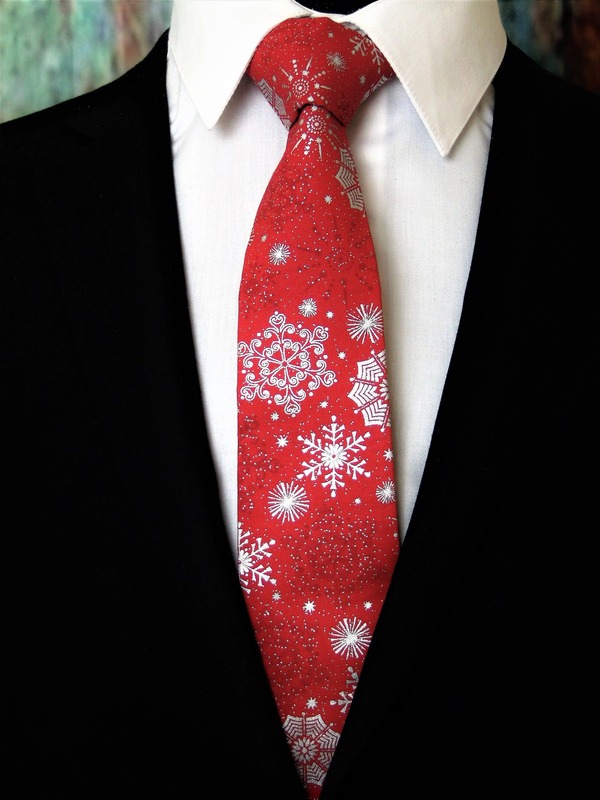 Men's Snowflake Necktie. 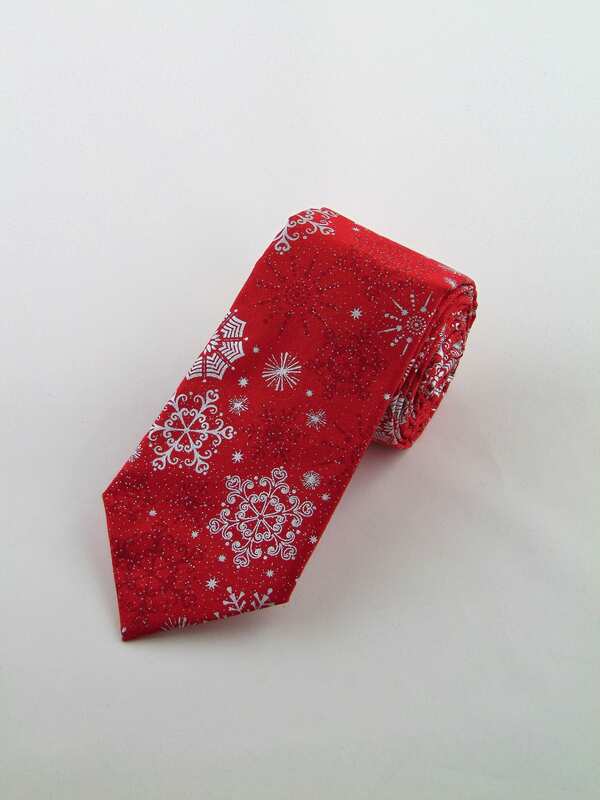 Features a red background with silver snowflakes.